NEW ORLEANS — The Biloxi Marsh is absolutely loaded with redfish right now. How you go about catching them depends on how you rate your own fishing abilities. Capt. Kris Robert has been smashing the fish there. He said the action couldn’t possibly be easier, but anglers have to determine the tackle they want to use to catch them. 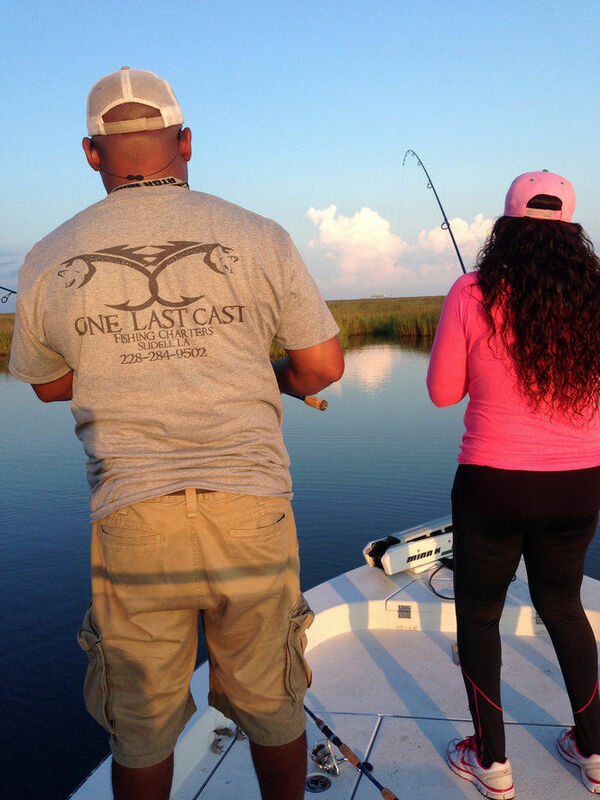 On the way out each day, Robert is quizzing his clients to determine their level of fishing experience. Newbies get the popping corks with dead shrimp, while wily veterans earn artificial lures. The fishing is so good right now, both groups are returning to the dock happy. There’s one main reason the fish are there — the Biloxi Marsh is chock-a-block loaded with baitfish. “It’s unbelievable the amount of pogies as well as some white shrimp,” Robert said. “You run the trolling motor in a lot of those little bayous and coves, and all of a sudden, you’ll see nice-sized white shrimp skipping across the water. Some of the pogies are as long as 4 inches, but Robert doesn’t look for individual baitfish. He scans the water’s surface in search of the telltale disturbance schools of pogies make. He seldom bothers casting until he finds the bait. When he finds a cove with bait, Robert knows redfish will be in there as well. He’ll move within casting distance, and if he has inexperienced anglers, he’ll lower his shallow-water anchor and throw out hooks baited with dead shrimp about 10 inches under popping corks. If Robert’s clients are more experienced, he’ll troll the area and have them cast Matrix Shad soft-plastics teamed with H&H gold spinners. Effective colors lately have been ultraviolet and anything with purple in it, Robert said. Robert said the whole marsh is loaded with fish right now, but he’s been focusing most of his attention in the southwest quadrant near Pete’s Lagoon. For those who’ve never fished the area, the Biloxi Marsh is the section of wetlands that separate Lake Borgne from Breton and Mississippi sounds. The area is accessible from Slidell, Shell Beach and Hopedale. Now running out of Rigolets Marina, Robert found a few speckled trout recently as well, but in the opposite direction from the Biloxi Marsh. “I had a trip Friday, so I went to scout a little bit on Thursday, and caught a few trout at Seabrook,” he said. “They weren’t big, but we got a couple of 2-pounders out of it. Robert said that’s a sure sign that the seasons are changing and the speckled trout are on the move. The hot area in recent weeks had been the reefs near Isle au Pitre on the eastern side of the Biloxi Marsh, but that area has cooled off, Robert said. He suspects those fish are making their way into Lake Pontchartrain. “The salinity in the lake has jumped up, and there’s a lot of bait in the lake,” Robert said. The guide also bumped into a school of tarpon Friday while running his boat in eastern Lake Pontchartrain about 2 miles north of the south shore. One of the fish completely breached the surface.